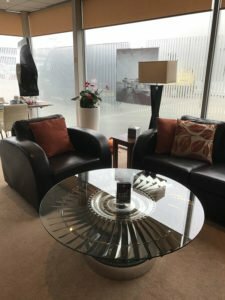 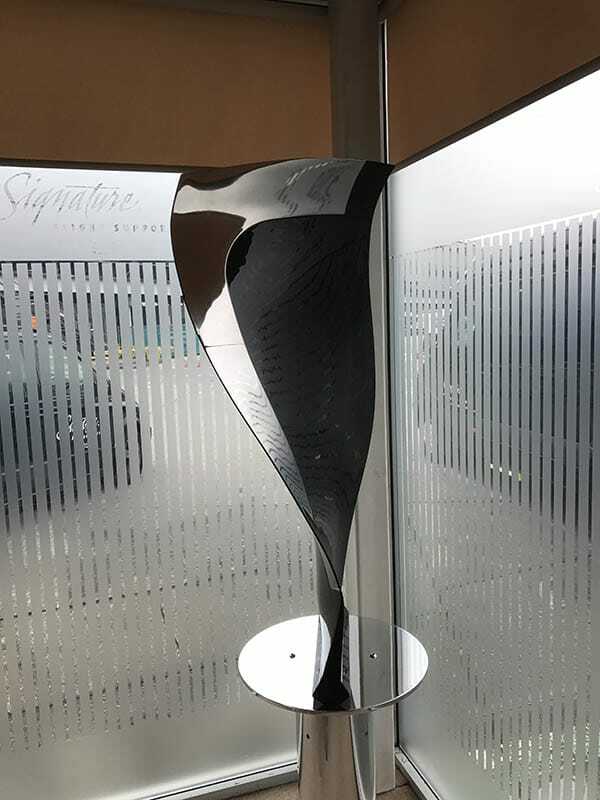 Signature’s FBO at Gatwick Airport is the perfect setting for our unique furniture, offering clients an opportunity to enjoy each piece in a stunning environment. 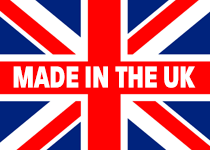 All items on display are available for sale. 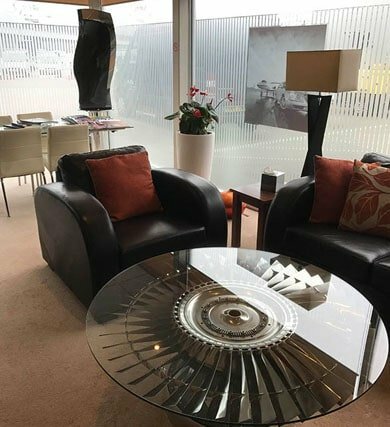 Contact Andrew Jackman for more details. 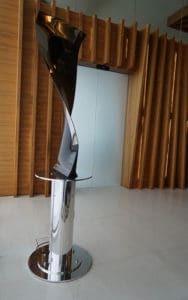 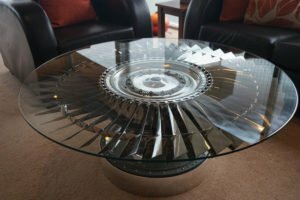 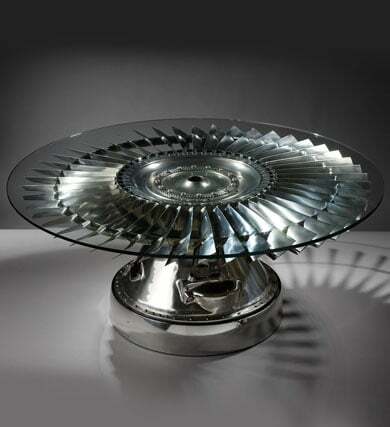 A simply stunning coffee table with polished titanium blades, positioned on top of a highly polished harrier hub, underneath glass, makes this practical and unique.